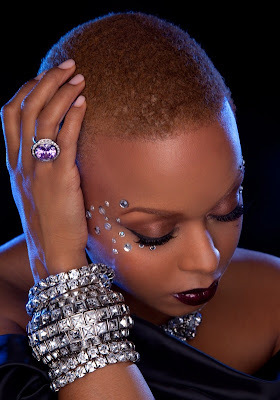 Yes, Chrisette Michele is natural once AGAIN!…This grammy award winning diva decided to go natural for the third time in her life and she share’s her story with www.curlynikki.com . Due to her healthy hair relationship in the past, her decision for the big chop was solely just try something new and fun, and I love it! What inspired her to go natural was her mother. She admires her mother and how she chops her hair off all the time so it was only right to finally adapt the hair that was naturally given to us a birth. Chrisette could care less about what the “Industry” feels about her hair and knows that with creativity she will still continue to rock the charts.